The Brandeis in Siena program is a two-course, intensive summer program combining Studio Art and Art History in Siena, Italy. The program is a culturally immersive, experiential learning experience where students will come in direct contact with master works of art seminal to the canon of art history and Western culture. This program focuses on art of the Renaissance, giving the students the life-changing experience of learning and working surrounded by the masters they are studying. While enrolled in the Brandeis in Siena program, you will study in the historic city of Siena, Italy. Siena is a city rich in artistic masterpieces and complex social structures. The city itself is a jewel of preservation in Europe and is surrounded by a dynamic and thriving landscape filled with ongoing agricultural production. Siena as a location for studying art and art history is extraordinary for its contributions to art of the early Renaissance. You will be able to study and create art in response to original master works from the Italian Renaissance. Close proximity to the artistic centers of Florence and Pisa provide additional resources for study and creative inspiration and making Siena an ideal central location in Tuscany. 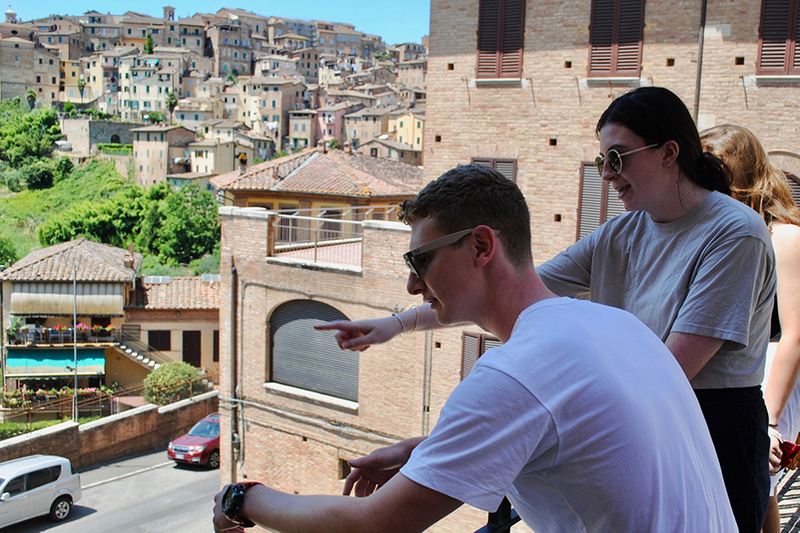 The curriculum for the Brandeis in Siena summer program is a combination of studio experience, art history coursework, and field trips to historic cultural sites in Tuscany. You will study the context of Italian masterworks in the classroom, visit the masterworks on fieldtrips, and practice techniques used by the masters in the studio. Integration between the two courses and the field trips will give you a holistic understanding of this unique and culturally important environment. This hands-on program is designed to fully immerse students in the understanding and creation of art and specifically painting. All aspects of this program will deepen your appreciation of art and can be incorporated into your own existing practice. The program is a collaborative partnership between Brandeis University and the Siena Art Institute consisting of two courses taught in English, one Studio Art course and one Art History course. A Brandeis professor will teach one of the courses and an instructor from the Siena Art Institute will teach the other course. The Brandeis faculty within the Department of Fine Arts will teach their respective course in alternate years. 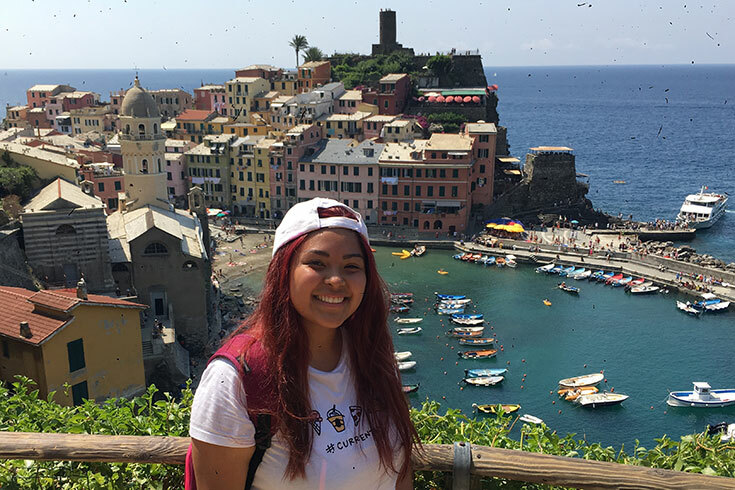 While abroad, Zoila immersed herself in Sienese culture by living at the center of the city, visiting sites of early medieval and renaissance art, and attending historical events like Il Palio. During her stay, she was able to take an art history class taught by a Brandeis professor and visit most of the art works she learned in class.